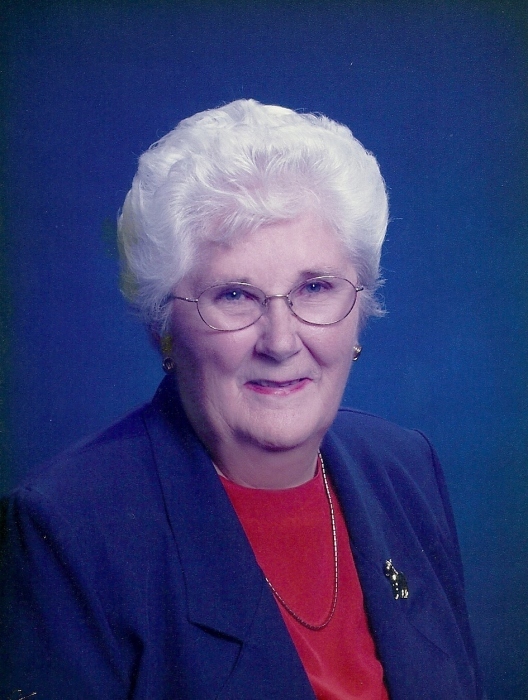 International rodeo star, Elaine M. Kramer age 83 of Prairie du Chien passed away Monday, April 8, 2019 at the Prairie Maison Care Center. She was born June 23, 1935 in Eastman, WI the daughter of Irvin and Helen (Granzow) Kramer. After Elaine graduated from Prairie du Chien High School in 1954 she was inspired by a film she had seen; “Ride a White Horse” about women performing Roman riding. This movie and her love of horses was Elaine’s inspiration to learn this rugged style of riding. She learned to Roman Ride at the White Horse Ranch in Naper, NE. This ancient form of trick riding required her to stand atop two or more horses running side by side at breakneck speeds. She trained her own horses, sometimes with five and even six horses abreast, and often with two jumps. She performed with the Flying Valkyries, a horse act out of Palm Springs, CA. Elaine got her RCA card in 1955 and her career blossomed. She put together her own team of American Saddlebred horses and spent months training these sorrels in pairs, in fours and finally as a team of six. Then she traveled the United States and Canada performing on her own. She appeared from Madison Square Garden to the Cow Palace in San Francisco, thrilling thousands as one of America’s best Roman riders. Elaine’s performances from the 1950’s through the 70’s put her in the National Cowgirl Hall of Fame in 2005, alongside Dale Evans and Annie Oakley. Her spectacular career was unusual for a woman of that time…or any time. After two decades, she came back to Prairie du Chien to help with her parents beef farm. She also owned and operated a successful trailer court, “Kramer’s Kourt” in Prairie du Chien since 1960. She is survived by her brothers Russell Kramer of La Farge, WI and Keith (Susan) Kramer of Oregon, WI, numerous nieces and nephews, especially her Godson Wayne Granzow. Also Roger Stovey who was like a son to Elaine, helping her with the farm and her trailer court.